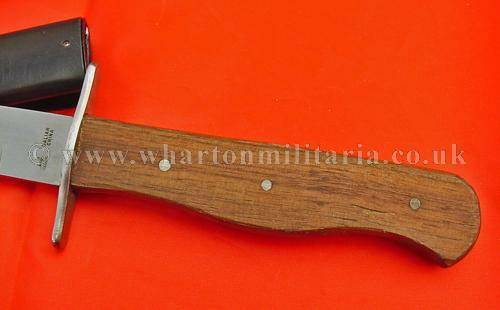 A now almost impossible to find collectors functional WW1 and WW2 German trench knife. 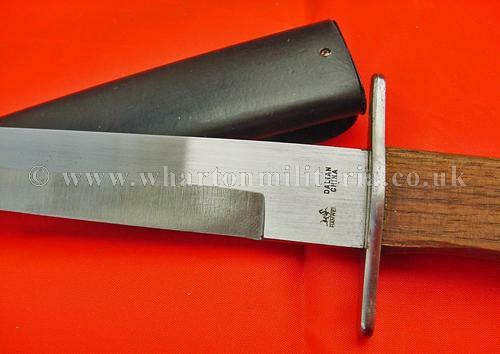 This knife is a faithful and authentic limited edition re-manufacture of a WW1 and WW2 German army trench or boot knife, made for militaria collectors and descerning re-enactors by the noted martial arts weapon company Paul Chen Hanwei Forge, the knife features a walnut grip, high-carbon spearpoint blade and a black-enamelled steel sheath with a blade retention spring and a belt clip. 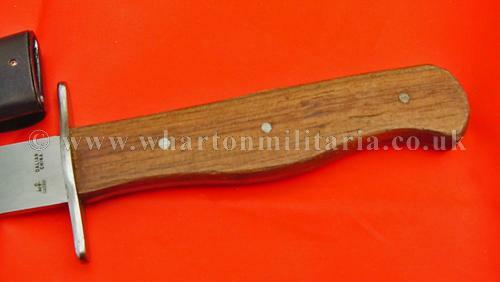 Authentically detailed and fully functional, overall length approximately 10 1/2 inches with a blade length of 6 inches, handle length 4 1/2 inches. 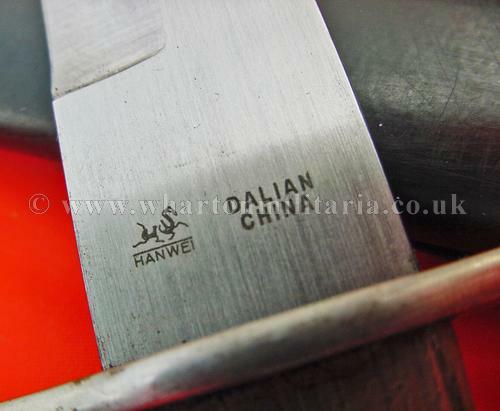 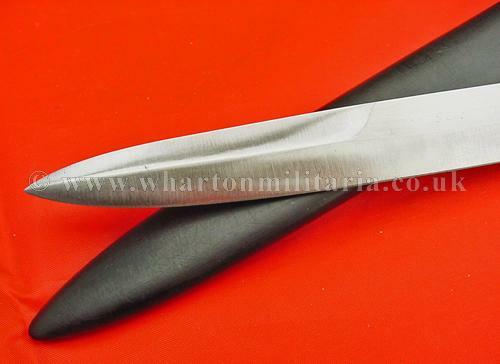 A truely collectable knife in its own right, simply excellent all round.